A UNPO alternative report to the Committee on Economic, Social and Cultural Rights urges the government of Rwanda to combat discrimination against the Batwa and increase measures to support the Batwa in escaping extreme poverty. UNPO has submitted an alternative report to the 50th Pre-sessional Working Group of the Committee on Economic, Social and Cultural Rights (CESCR) ahead of the consideration of Rwanda’s initial report. The 50th Pre-sessional Working group is taking place in Geneva from December 3rd to 7th 2012. You can access the full report by clicking on the link to it under "Attached Documents" on the right. The Batwa, indigenous to the Great Lakes region of Africa suffer from severe impoverishment and exceptionally low socio-economic and health indicators and are almost entirely absent from grassroots, regional or national governing structures. They also suffer from casual but deeply damaging discrimination, based on a common and largely unpunished perception of the Batwa being “backwards”, unintelligent or lazy which in turn perpetuates their social exclusion. 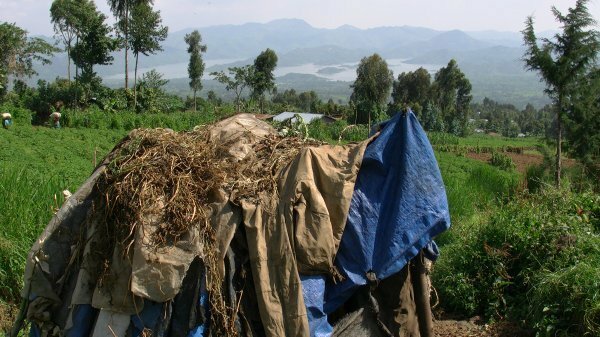 The report outlines the large number of economic, social and cultural rights the Batwa are being denied, the most pressing being extreme poverty. This is closely intertwined with land theft in which the government is sometimes actively involved or reluctant to challenge. Additionally to their impoverished situation a new government policy aimed at getting rid of all thatched roof houses has led to the destruction of their homes, usually without compensation. As a result thousands of Batwa have become homeless. UNPO urges the Rwandan government to stop the destruction of houses immediately. Other issues outlined by the report include lack of access to education, health care and jobs as a result to impoverishment, social and political discrimination. Overall the Batwa are the most impoverished, marginalized and discriminated against group in Rwandan society. Still they are denied to identify as a group since referring to any ethnic group is illegal in Rwanda. This makes it very difficult to target them with programs to improve their situation. Furthermore local organizations are not allowed to include the word Batwa or indigenous in their name. Below you find the recommendations UNPO made in the report after outlining various problems the Batwa face. 1. Ensure full representation of the Batwa in government and other public institutions. 2. Consult the Batwa before taking any measures that may affect their lives. 3. Allow the Batwa to identify as a group and form organizations using their own means of identification, which can specifically target Batwa communities for poverty reduction projects, cultural preservation initiatives and community learning schemes. 4. Ensure that data collected about distribution of materials and management of poverty reduction projects is disaggregated along ethnic lines to ensure that Batwa communities are not the target of racial discrimination. 5. Combat discrimination against the Batwa in education system, media and government institutions, as well as by establishing awareness raising campaigns to combat racist stereotypes. 6. Cease the destruction of homes immediately until residents are consulted, compensated and provided with new housing. Allow residents to provide input on the program, and allow them the legal recourse to challenge the decision to modify their home or to be relocated. 7. Distribute land to the Batwa as a landless group under Article 87 of the Land law. The government, along with Batwa communities, should use participatory and transparent methods to comprehensively ‘map’ the historic dispossession of the Batwa from their lands and devise appropriate and equitable remedies. 8. Modify property laws to respect collective rights, especially access to forests and wetlands. 9. Adopt measures to address the severe poverty of the Batwa caused by the government resettlement policy, including the provision of vocational training and micro-finance schemes. 10. Increase access to health care facilities and combat discrimination against the Batwa in social services. 11. Construct schools closer to the Batwa communities and develop a curriculum adapted to their way of life.